about creating great tasting chips. 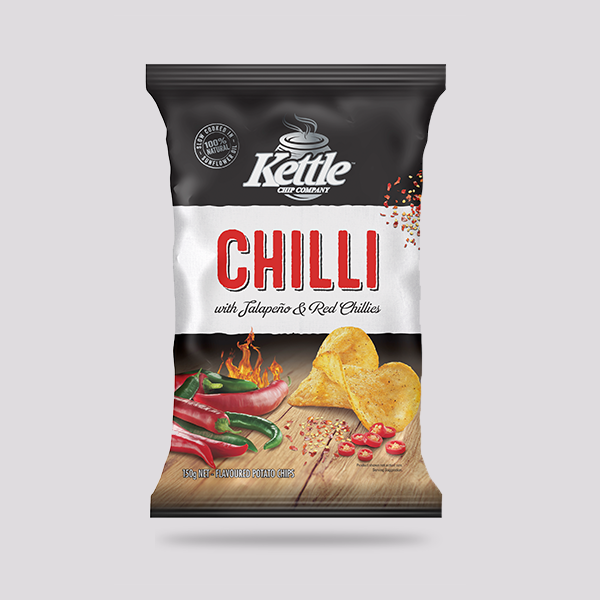 At the Kettle Chip Company, our mission is pure and simple – to bring you the best darn kettle chips you’ve ever tasted. To achieve this, we use the finest and freshest ingredients. Our New Zealand grown potatoes arrive at our Wiri site and within 48 hours, they're slow cooked to lock in a deeper, richer flavour in every single chip. The result is a lovingly crafted explosion of deliciousness wrapped up with the unmistakable kettle chip crunch you know so well. Now, that’s a recipe for success if we ever saw one. Enjoy! We’re always keen to hear from our Kettle lovers. Thank you! Your email has been passed on to our Customer Services team who will action your request. If we require any further information we will contact to you by return email alternatively our Customer Services team will endeavour to complete your request and advise you of the outcome by post within 5 business days. If you would like to discuss this matter further please contact us on 0800 538 853.